Fixed an issue with the class filter, where it wouldn’t show the players if you picked a class before starting dps. Added “.sort” to in-game commands (see below). The “Sort” button in rolls window will now also copy to clipboard the list of rolls and players, ready to paste in-game. Added Data/Extended Copy/Split by Lines. Warning: having filtered class will extremely increase the processing time/CPU usage of ARM, do not use this permanently if you have an old single-core computer. Added a “Hackers” tab in the players database tool. You can add a list of known/suspected players here so ARM will warn you when they are registered. 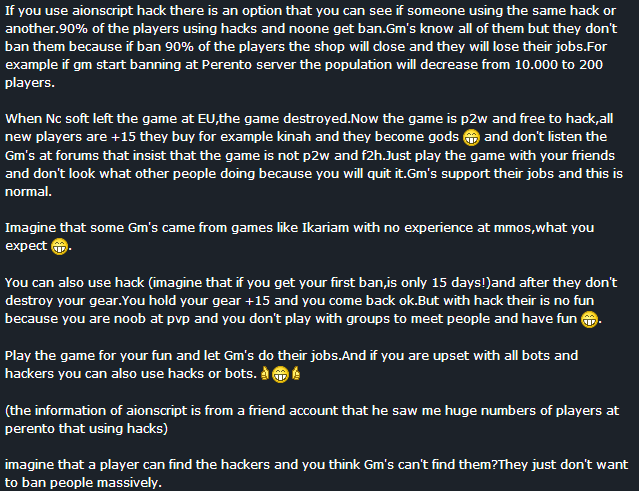 Contact me if you want an updated list of past known hackers for Telemachus and a few for other servers. The warning was put in place for a reason. Added a new setting, in the menu “Settings/single-sm mode”. This will automatically assign all pets to the spiritmaster, if there is only 1 present, and remove some dot limitations put in place for more accurate results. 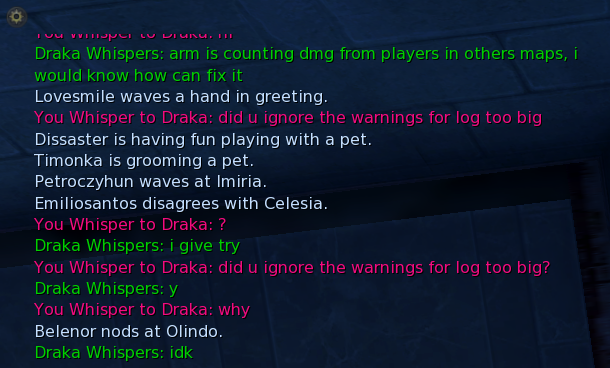 You can use this if there is only 1 sm in your instance etc to more accurately assign all dots and pets damage. Added support for atk. speed reduction Godstone. 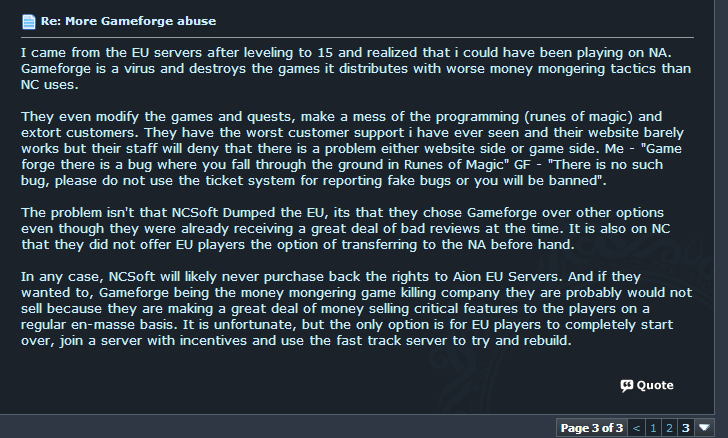 Are you happy with Gameforge? 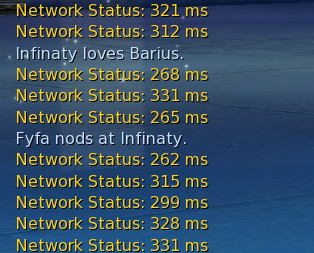 No, I'd like NC back or another publisher. This is getting beyond ridiculous. I can’t imagine what must be going through their heads to come up with such amateur stuff. Using battleping brings that down a lot, sometimes as low as 80-90 but averaging 100-120. Still not really good but at least playable. BP seems to at least be a lot more consistent keeping the same ping, with no spikes whatsoever. Note that Gameforge can’t tell whether the ticket was sent by ARM or manually through their website, since ARM simulates the entire login/form post process you’d normally do with a browser.